(Complimentary Half Day Tour)* subject to changes*Exploring Koh Si Chang, a big scenic island off Sri Racha County, located 12 km. away from the coast. Its attractions are the remains of an old palace and some other residential buildings constructed by order of King Rama V (1868-1910) for use by himself and his royal children. Visit "Chao Por Khao Yai" the famous Buddha for Thai and Chinese people living on the island. 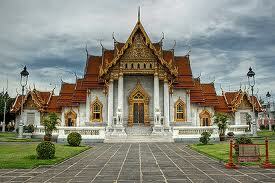 Also visit the summer palace of a Lady of the court and the place was planned to build up as Vimarnmek Palace. After lunch, relaxing on the beach. Late afternoon, leaving the island back to Pattaya.